Last week, the United States Department of Justice filed a robust complaint against Ferguson, Missouri, charging the city with violations of federal civil rights statutes in maintaining a “pattern or practice” of unconstitutional deprivation of rights by law enforcement officials. The complaint is remarkable not only for its relative rarity and the nature of the allegations, but because it takes aim at an entire system of discrimination, fueled by cash and predicated on racial discrimination. By pursuing reform of an entire system, from street harassment by cops to prosecutorial misconduct, the case could result in a template for practical reforms. The complaint is the result of a multi-year investigation into the law enforcement practices of the city. It is also refreshingly comprehensive, attacking the city’s practices from stem to stern: the government alleges constitutional violations along the entire spectrum of law enforcement, from stops and searches, through excessive force, First Amendment protest activity, discriminatory fining and sentencing, and unconstitutional prosecutorial practices. Such a comprehensive complaint sets the stage to fashion a reform plan just as comprehensive that can act as a blueprint for other communities. If the Ferguson action is indicative of a willingness by the DOJ to aggressively pursue civil rights actions against localities, it could set the baseline for other cities eager to avoid costly litigation and federal interference. In essence, by pursuing Ferguson for its entire law enforcement regime, the federal government can move to standardize best practices for localities that operate outside of constitutional norms. Pursuant to federal civil rights statutes, the government is seeking injunctions requiring the city to impose reforms to bring its conduct within the bounds of the Constitution, primarily the First, Fourth, and Sixth Amendments. Such injunctions, known as “structural injunctions,” are “equitable,” or non-monetary remedies that impose systemic reforms that must be carefully implemented and monitored over a period of time. Monitoring typically continues until particular benchmarks are met, and can usually only be ended through a subsequent court order. Structural injunctions are rare in American courts, and disfavored by conservative jurists who see them as essentially usurping legislative and executive prerogative. The complaint was linked to two civil rights statutes: 42 USC 2000d under the Civil Rights Act that deals with deprivation of rights by federally-assisted agencies; and 42 USC 14141 which covers unlawful patterns and practices of rights deprivation by law enforcement agencies. These statutes were passed in 1964 and 1994 respectively, but they are somewhat rarely pursued by the Department of Justice. A search showed only a handful of cases brought under these laws going back to 2002, with two of these being brought in the last few years as a result of local law enforcement agencies targeting Latinos for referral to Immigration and Customs Enforcement (ICE) authorities, and one the result of “invited” scrutiny of the New Orleans Police Department. Similar actions were undertaken against the Maricopa County Sheriff’s Office, stomping ground of national xenophobia icon Sheriff Joe Arpaio, and against the Alamance (North Carolina) Sheriff’s Office. Both of these suits, while important, were relatively narrow, focusing on the conduct of sheriffs’ offices in their treatment of Latinos with respect to the involvement of ICE. In 2010, within two days of taking office, New Orleans Mayor Mitchell Landrieu wrote a letter to then-Attorney General Eric Holder asking for his “support and partnership” in transforming the New Orleans Police Department “into one of the best police forces in the United States.” This was necessary, Landrieu wrote, because “nothing short of a complete transformation is necessary and essential to ensure safety for the citizens of New Orleans.” The result was a consent decree, essentially a bilateral agreement to impose particular reforms without the necessity of a trial or finding of liability. The New Orleans consent decree, while sweeping, was limited to police department operations. The case against Alamance County failed after a bench trial and is on appeal in the Fourth Circuit; the suit against Maricopa County was settled in part, and the rest is awaiting appeal in the Ninth Circuit. The complaint brought against Ferguson though, is broader than any case brought under civil rights statutes 2000d and 14141 in the last decade. 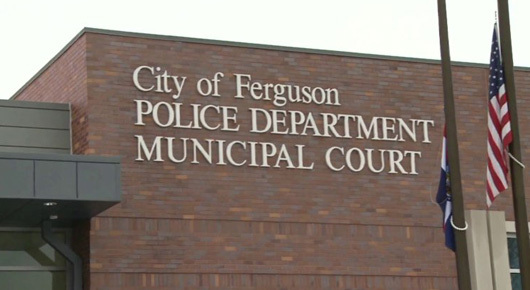 Although Ferguson is a small community, the complaint targets the practices of not only the Police Department, but also the Municipal Court and the Prosecuting Attorney. The facts in the complaint are revelatory and, at times, jaw-dropping. The DOJ puts into black and white facts that are no doubt understood in the bones of anybody who has lived in Ferguson or any of hundreds of similar communities. They show that the power of the state is wielded arbitrarily against the powerless – specifically, Black residents of Ferguson. The complaint tells a story of a city government that ensares an individual arbitrarily for offenses such as “Manner of Walking,” imposes fines arbitrarily “without regard for the individual’s ability to pay,” and then prosecutes them arbitrarily. It is a story of a city preying upon one class of citizens to raise revenue. The administration of justice in Ferguson completely collapsed in the face of the city’s thirst for cash in an era of cratering tax revenue and capital disinvestment. According to the DOJ, the city used its power to create infractions, harass individuals, pull them into the legal system and hound them – including through incarceration. This was all done not as a means to protect public safety and the general welfare, but as leverage to squeeze the maximum amount of cash from a vulnerable population. Not only was the inability of individuals to pay not taken into account when punishing them for offenses like the aforementioned “Manner of Walking” or “High Grass or Weeds,” it actually worked against them. Those not represented by counsel were often treated more harshly than others who could afford a lawyer. Whether Ferguson will litigate the case vigorously or seek to enter a consent decree remains to be seen. For the public, a contested case resulting in a structural injunction could have derivative value in that it would impose a model for reform. Structural injunctions are generally opposed by conservative jurists, who see them as an attempt by elite judges to undertake what is essentially a legislative task. The most high-profile recent structural injunction case, Brown v. Plata, dealt with the overcrowding of California prisons and featured a harrumphing dissent from Justices Antonin Scalia and Thomas Alito. Despite Scalia’s dissent, the majority upheld the structural injunction requiring de-crowding of the California prison system. Scalia’s concern that the Court was expanding the structural injunction as a tool for reform may have been prescient if for the wrong reasons; the recent vacancy on the Court may bode well should Ferguson choose to vigorously contest the DOJ’s suit for precisely this type of relief. Ramsin Canon is an attorney at Canon Law Group, practicing in Illinois and California, and a co-founder of Aldertrack.com. His writings have been published by In These Times, Alternet, the Oxford Journals Community Development Journal, the Seventh Circuit Review, the Chicago-Kent Law Review, and the International In-House Counsel Journal. He lives and works in Chicago. You can follow him on twitter @ramsincanon.